Melissa Altman joined Asbury University as an Assistant Professor of Equine Studies in Fall 2017. 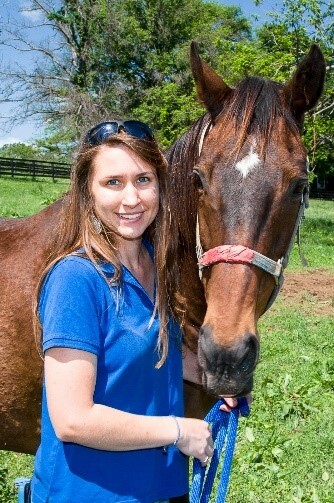 A native of Knoxville, Tennessee, Melissa grew up loving and riding horses. After earning her BA in Chemistry from Asbury University in 2012, she went on to complete her PhD in Veterinary Science with an emphasis in Equine Immunology at the University of Kentucky’s Gluck Equine Research Center (2017). During her graduate work, Melissa mentored many undergraduate students, worked on a dozen research studies, and published in multiple scientific journals. Her graduate work focused on inflamm-aging of the senior horse, particularly examining implications of nutrition and endocrine dysfunction in relation to inflammation. She has also given seminars at numerous conferences throughout the US and abroad. Melissa is excited to have rejoined her alma mater as a faculty member, where she continues combining her scientific background and love of horses.